This week has been busy!!! I've had staff meetings, Learning Center Meetings, parent meetings oh and I collected all of this from classrooms (with some help from super co-workers) for our 100th day canned food drive. This is just part of it. We collected over 1,000 cans for our local food bank. They are coming tomorrow to pick it all up. 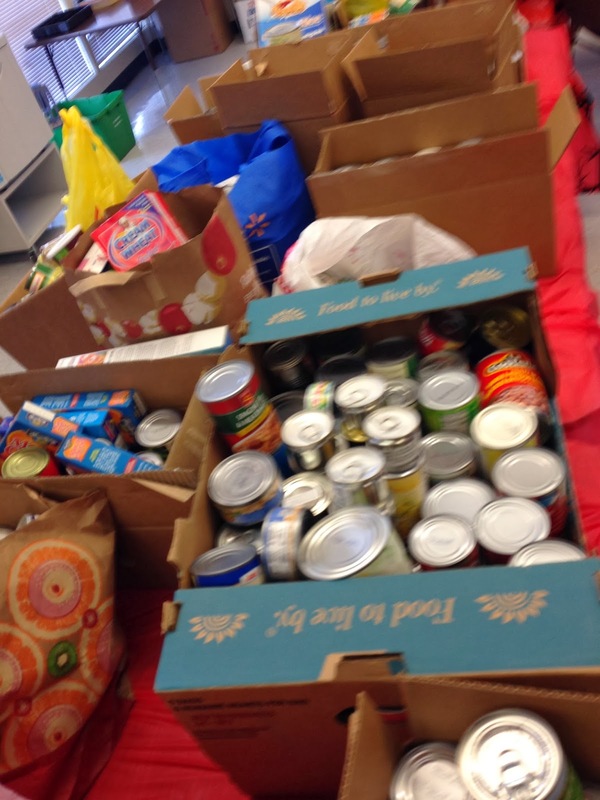 We are so proud of our families that helped collect all this great food. 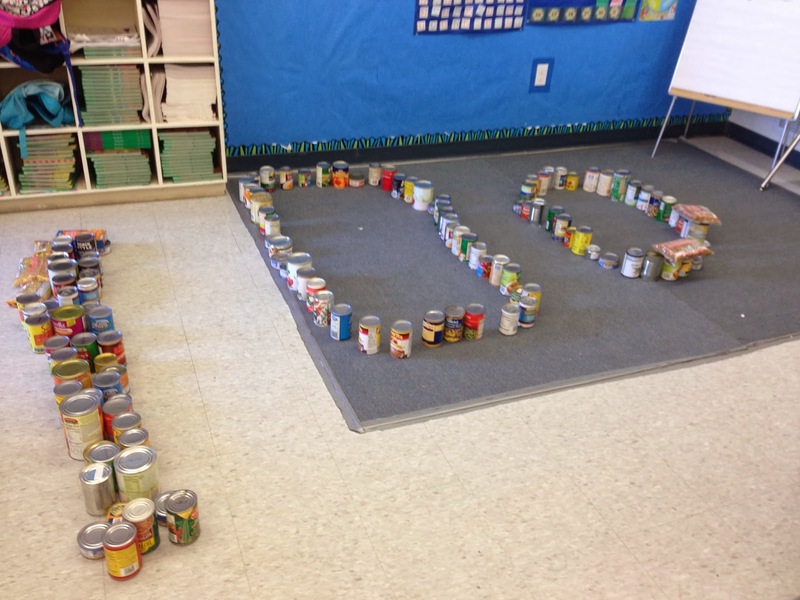 Some classes collected over 100 cans. This week I introduced my new centers for February. I was a little nervous about trying this one. my kids are still having trouble with vowel sounds, but so far, so good. We've also been working on tally marks, they are starting to get the hang of it. I introduced it in the pocket chart first, so everyone had a chance to match their heart number card with the tally marks. Today we also worked on rhyming. It has been a few weeks since we've done anything. My kids raced right through this page. Yay!!! they are finally getting it. Rhyming is something that some kids never get and today, everyone got it. The rhyming page is from my February No Prep, Just Print pack!